Photographs labeled WC were taken by Will Clawson, SD by Shelley Dziedzic on the Friday after New Year’s Day. The ground was particularly warm hitting the cold air, and a very theatrical misty effect was the result! It’s hard to know exactly the date of this photograph. The view is in front of the office building. 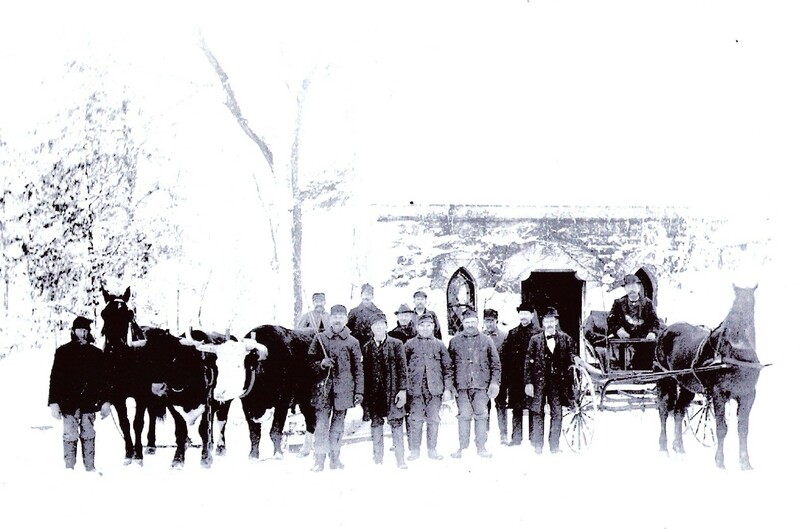 Oxen were frequently used to haul the granite up to the cemetery on sledges. The arch was erected in 1873. 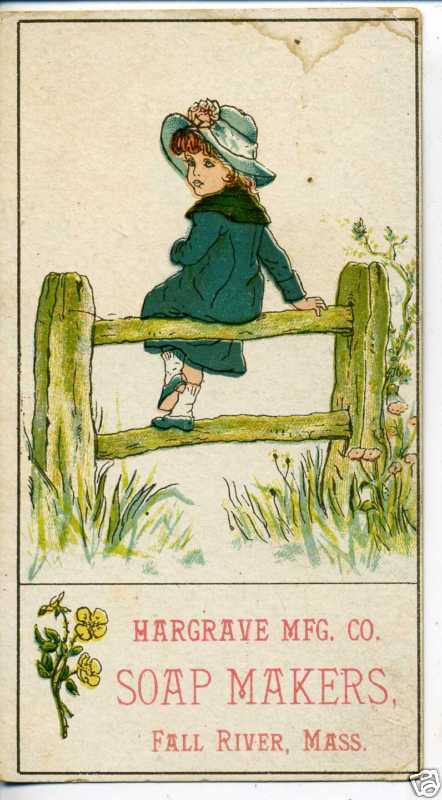 To see the image at full size, click on the photo above. 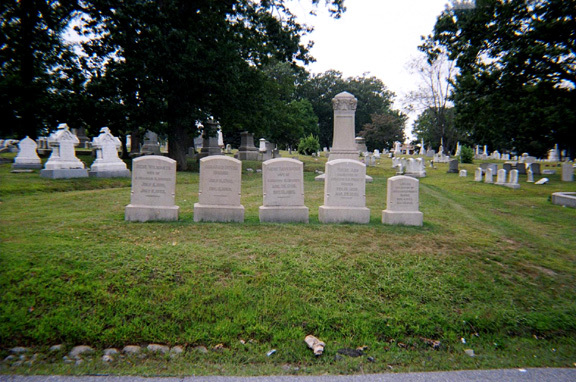 (photo courtesy of Oak Grove Cemetery). This particularly beautiful tall arch is to be found in the central west end of Oak Grove and is a familiar symbol of passing through from one state to another- from earthly to celestial, from life to the hereafter. 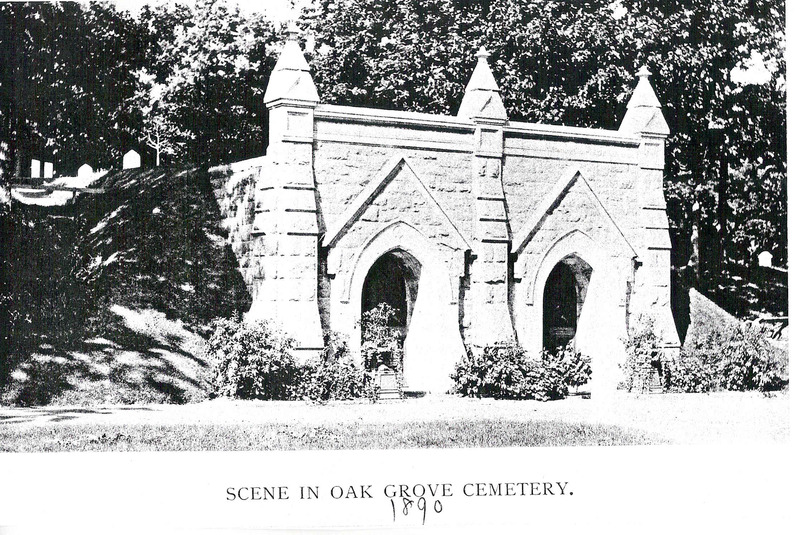 There are smaller arches, gateways and doors to be found in Oak Grove, some found carved onto tabular monuments and others carved completely as the symbol itself. This one has an Egyptian inspiration- complete with canopic jar. 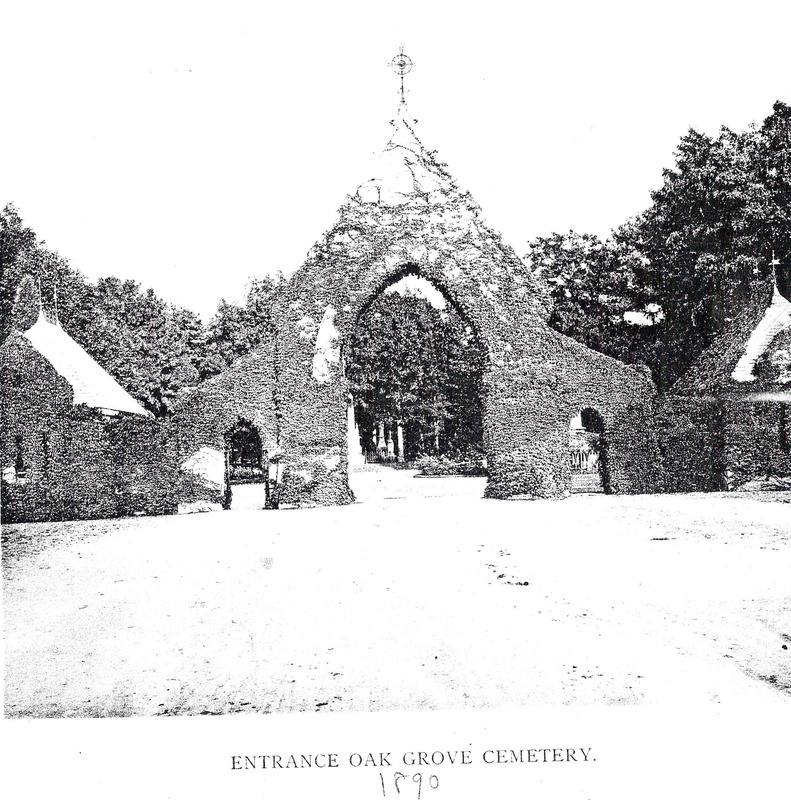 Every August 4th, traffic to the Borden plot in Oak Grove increases. 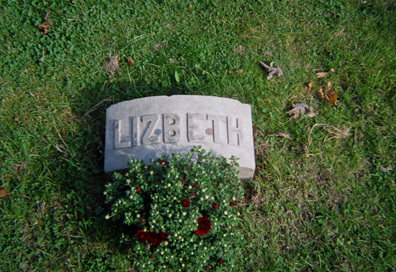 Flowers, notes, stones, coins and other mementos are left at the grave site of Lizzie Borden. More rarely are the victims, the elderly couple, Andrew and Abby Borden remembered with tokens. 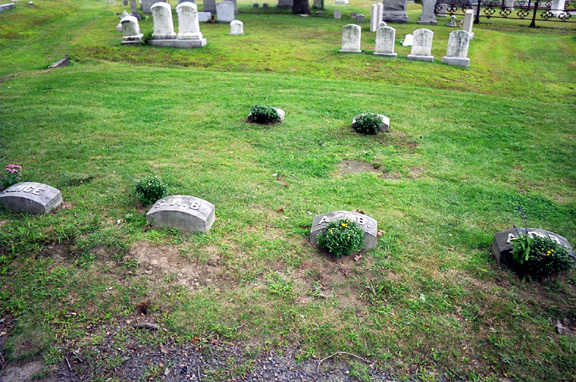 The burial plot is easily found by following the black arrows painted on the asphalt to the left after passing under the Prospect Street arch. 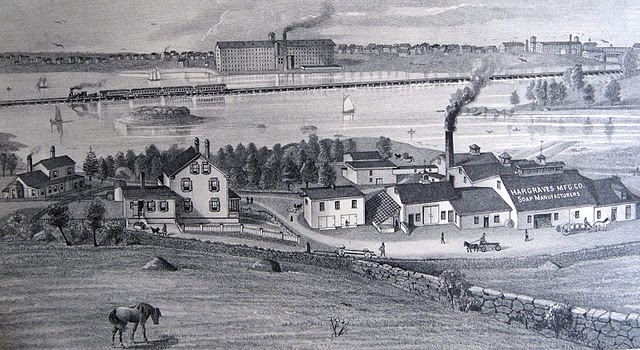 William Almy , Andrew Borden’s business partner, and his family share the raised corner knoll. Head stones for Lizzie’s grandparents face out toward the road at the front of the lot. Many individuals associated with the trial and with the Borden family, as well as friends and neighbors have found their final rest in Oak Grove.